There’s no arguing that early childhood education isn’t important. This educational stage is the very start of most children’s academic development, paving the way for the rest of their schooling and future success. It is up to early childhood educators to know all of the skills to nurture their students on multiple levels, so as to help set the path for a bright future. As an aspiring early childhood educator, you understand this fact well. So does the state of Illinois. This is why they require all early childhood educators to take and pass the ILTS Early Childhood Education exam prior to starting their professional careers. If you’re on this page, you’re likely about to face this exam in the near future. Like most other ILTS tests, the ILTS Early Childhood Education test possesses a time limit of three hours and 45 minutes, within which you will have to complete 125 multiple choice (or “selected-response”) questions. It’s worth noting that the test doesn’t evaluate you from the traditional, cognitive standpoint, but in terms of your practical understanding of educational concepts. 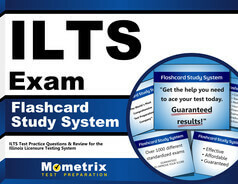 On this page you’ll find the official Mometrix Test Preparation ILTS Early Childhood Education practice test. Our team has conducted careful research to ensure this practice test is as accurate to the real exam as possible, so you can learn how the actual test will work and what to expect from it in terms of content and formatting. You can use this practice test not only to familiarize yourself with the actual exam, but gauge where your weaknesses and strengths lie with the material. This allows you to adjust your study plan as needed. We hope you will choose to incorporate our practice test into your study plan. 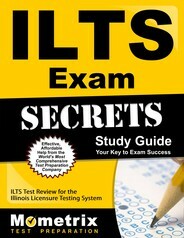 We also offer an ILTS Early Childhood Education study guide for those looking for more comprehensive materials. Good luck!